a) Samson is bound and can no longer go wherever he desires to go. b) Lesson: “Freedom brings responsibilities, and these responsibilities mean we must respect some restrictions or we will lose our freedom” (Butler, 158). - Freedom of good health means diet restrictions. - Freedom of good morals means deed restrictions. - Freedom of trust means restriction on people and places and actions. …and he did grind in the prison house. a) “Grinding a handmill was the hardest and lowest kind of slave labor” (Keil). b) Truly, “the way of the transgressor is hard” (Prov. 13:15). c) Lesson: The ultimate suffering for the sinful and unrighteous will be in the lake of fire and brimstone. 1. The sign of Samson’s Nazarite vow gradually returned. As it grew, so did his strength. 2. Remember, if a Nazarite violated his vow by touching a dead body, he could shave, purify himself, and then restart the vow (Num. 6:9-12). 3. For some reason, the Philistines completely ignored the growth of his hair. a. This is amazing since it cost them so much to find out the secret. b. Perhaps, they thought that the loss of strength was divine punishment that would last. c. Butler marks the growth of Samson’s hair as a restoration of service. 1) He states that it was gradual. 2) He also notes that it was singular. Samson did not get his eyesight back, nor did he get his freedom back. 1. The Philistines had a celebration to honor their god for their victory over Samson. 2. It took some time to make preparations and to gather the people to the city of Gaza for the celebration. (NOTE: This allows the time for Samson’s hair to grow). 1) Associated with “dag” which means fish. Some believe this was the god of fertility. 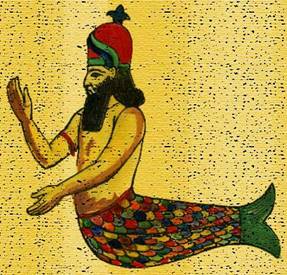 2) It could have come from the root word “dgn” which means “grain,” thus, the god of agriculture. b. There was probably a temple of Dagon is every lordship. (See I Sam. 5:1-2). a. This was a mistake. It was no longer a battle between Samson and the Philistines. It was a battle between Dagon and the true God. b. Too, their acknowledgement was not the truth. The real reason Samson was where he is was due to his sin and disobedience to God. He was suffering due to his unfaithfulness. 5. Lesson: Our sins can provide an opportunity for someone or something other than God to be honored. Too, they cause God to be disgraced. By this deed thou hast given great occasion to the enemies of the Lord to blaspheme. b. “We need to avoid sin because of the curse it will bring upon us. But an even higher motivation for not sinning is the dishonor it brings upon God” (Butler, 165).